Looks like it’s not just us who are into Instagram safaris; actress Lupita Nyong’o has joined in with her own breathtaking shots of East Africa. The Academy Award-winning star graced her home country Kenya to join forces with WildAid advocating for elephants – and by the look of it, had an incredible time. She’s no doubt incredibly proud of her heritage and has made it her mission to give back to the community. Here are few of our favorites from her Instagram. 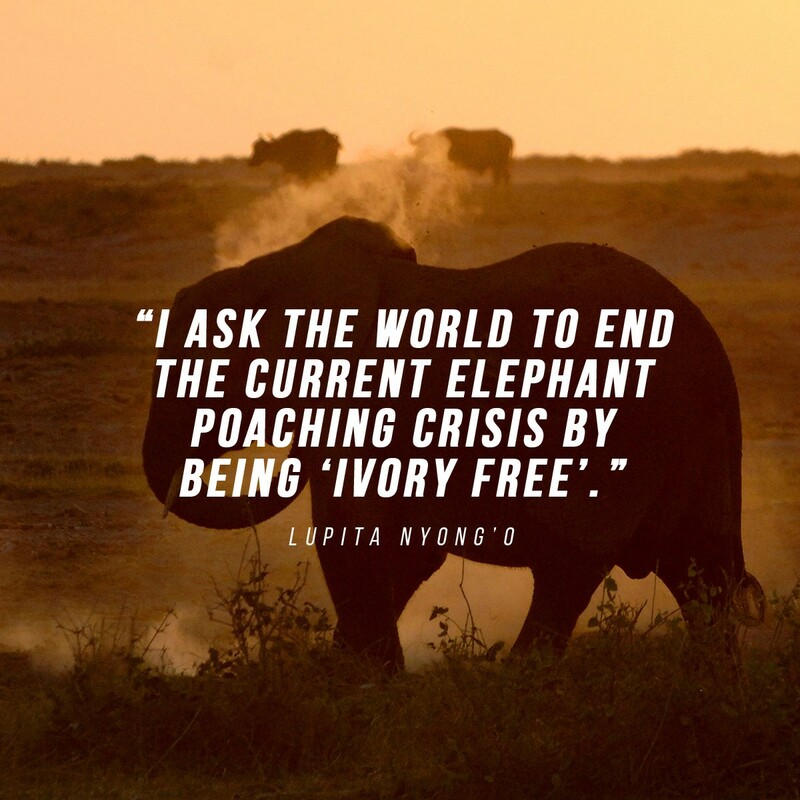 Lupita spent a large portion of her time in Amboseli National Park (with Amboseli Trust for Elephants and the David Sheldrick Wildlife Trust’s elephant orphanage) rubbing shoulders with local conservationists while filming inspirational anti-poaching messages. Her pieces will be used across a wide spectrum of mediums stating “poaching steals from us all” for Africa and “when the buying stops, the killing can too” for international markets.